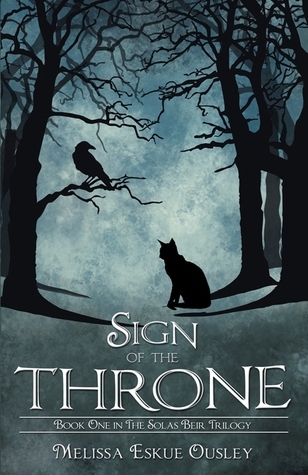 It's been a while since I've written a post about the books that are catching my eye. I miss those posts so today I present to you my most anticipated new release books of September 2013 along with my thoughts on why I want to read them. Could I love A Monster Calls any harder? No, I could not. Why have I still not read another Patrick Ness book you ask? Scared maybe, but I will. I promise. I don't know much about this book since I plan to read it no matter what it's about. I've been peeking through the reviews, and I'm definitely skipping the blurb. I'm so crazy pumped Lansdale wrote a book set in the big thicket (my backyard!). It sounds like a dark coming of age story, and at this point I'm pretending it was written just for me. Dude, look at that cover. Those things in the sky are skytubes: "gigantic, mysterious airborne organisms that drift like clouds above the surface of the planet". The main character is a doctor studying the skytubes' ecological role on that planet. I'm naively hoping for some scary science on this one. Steelheart is the start of a new YA series. The folks in Steelheart have superpowers and someone is out for revenge, but I won't say why even though it is on the blurb. I'm already hearing excellent things about this book. I loved Brandon Sanderson's The Rithmatist so I'm believing every word of what I'm hearing. First of all - STAND ALONE dystopian YA. OK, you know what, no first of all. That is it. STAND ALONE dystopian YA. That is why I want to read it. So apparently there is no water in this dystopian world, but home chick MC has a pond. I'm thinking if she still has a pond, she must also be a badass. Just thinkin'. Doctor Sleep is Stephen King's follow-up to The Shining. I have no words. No words. I lie. I actually have too many words for this post. I will be reading this 100% absolutely so you can have all of my words during my review. I wish I had some vacation time; I'd totally take off the next day since UPS doesn't arrive at my house until late in the evening anyway. I already mentioned my excitement for this one in my Waiting on Wednesday wishlist post. The kids on the cover are cliff diving into a band of air, and I absolutely must read about it and live vicariously. There's also some plague stuff going on so yay for viruses, too. We all have strange things that excite us, yes? This has been on my wishlist since the 2011 UK release. I originally wanted to read this because I haven't read any great books where folks get snowed in aside from Stephen King's The Shining. Now I'm nervous because I realize there is a young boy involved, and I can't read the things I used to be able to read when it comes to children. I do have an ARC of A Cold Season so I will definitely give it go and see if I can handle it. Someone please tell me what is with that Peter Crowther cover? A little part of me is dying inside. What did I miss? What are you most anticipating reading in September? Let me know in the comments! I did a wrap-up post like this back in February, and I have no idea why I haven't done one since. I'll try not to be so lazy from now on because I really enjoy these types of posts. August was an excellent month. Despite the summer time fun and back to school madness, I managed to squeeze in some great reads. I even managed to read some classics that have been on my list forever. Wow. My list may not look huge to many of you fast readers, but that's a fantastic list for me. The Day I Swapped My Dad for Two Goldfish by Neil Gaiman - I read this one in August, too, but it's a picture book so I'm not really counting that one. read 44 books toward her goal of 50 books. I hope everyone had an excellent August and an excellent summer. 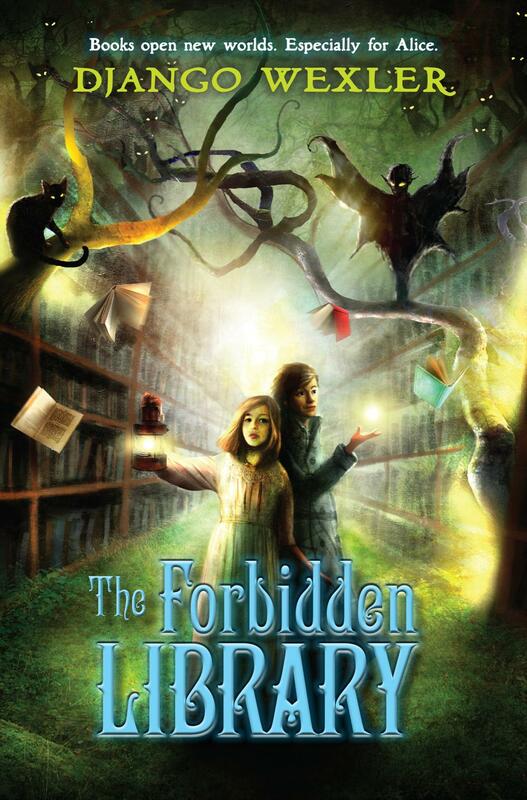 There are so many things I love about the premise of this book! When Alice’s father goes down in a shipwreck, she is sent to live with her uncle Geryon—an uncle she’s never heard of and knows nothing about. He lives in an enormous manor with a massive library that is off-limits to Alice. But then she meets a talking cat. 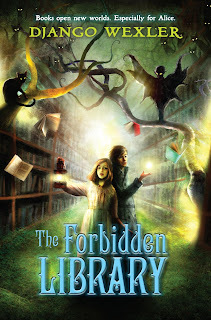 And even for a rule-follower, when a talking cat sneaks you into a forbidden library and introduces you to an arrogant boy who dares you to open a book, it’s hard to resist. Especially if you’re a reader to begin with. Soon Alice finds herself INSIDE the book, and the only way out is to defeat the creature imprisoned within. It seems Geryon is more than he says he is. But then, so is Alice. Right?! This book makes me giddy as a reader. It sounds like a wonderful middle grade read. What book are you anxiously awaiting this week? Let me know if the comments or leave me a link! Today is back to school day for my little 1st grader! Last week I posted my review for William Kent Krueger's Tamarack County and shared ten things that make my reading life easier. I had an excellent reading week. 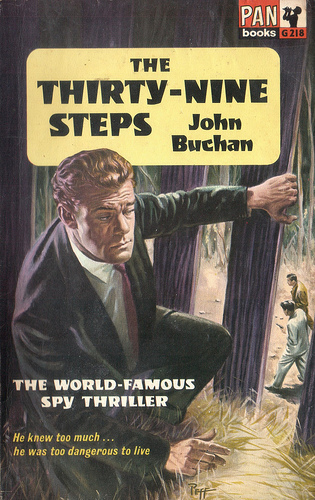 I was able to knock a couple of books off of my reading bucket list: The 39 Steps by John Buchan and The Time Machine by H.G. Wells. I've been fangirling over The Time Machine all weekend. Carrying on with my reading bucket list I started reading The Turn of the Screw by Henry James. I can already tell you this won't be a favorite of mine. I'm also still reading the marvelous The Lies of Locke Lamora. I'm proud of myself for sticking to the readalong schedule. Happy Monday everyone! To those of you with school age kids, I hope you are excited for the new year. Be sure to let me know what you are reading this week or leave me a link! With complex plot twists, rich characters, and a vivid setting, Tamarack County is a relentlessly fast-paced novel that will chill, thrill, and shock you. Earlier this year I read William Kent Krueger's Ordinary Grace. It was the first book I had read by Krueger so I was anxious to get my hands on another one of his books. 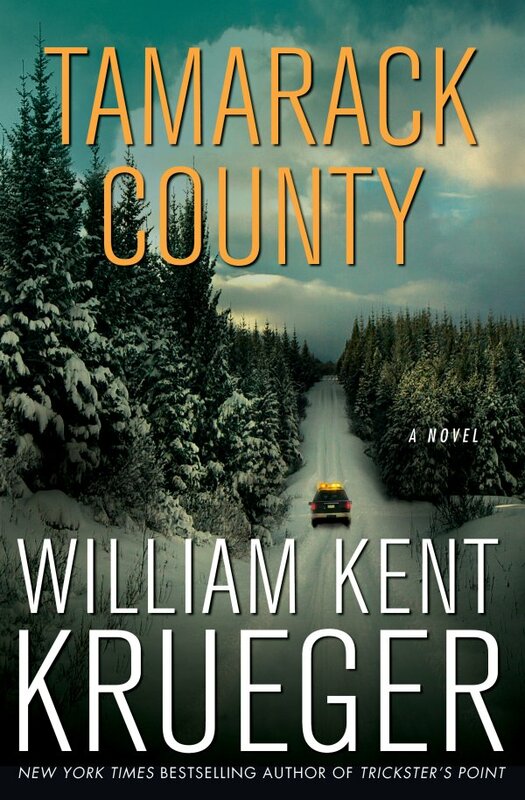 Tamarack County is Krueger's latest release, and it's part of his Cork O'Connor series. Overall I'd have to say this was a middle of the road book for me. Some of it was from coming into the series late, but some of it wasn't. Like most adult mystery series books, the main story of Tamarack County is stand alone. I didn't need to have read any other Cork O'Connor books to enjoy the plot or the mystery aspect of Tamarack County. I did feel like I was missing out on the back stories of Cork's family and his love interest, though. There was also some Native American culture I can only assume was explained in previous books. That being said, someone who has read all of the series thus far will probably appreciate not having it rehashed for them. I could also probably read the next book in the series now with less issue. Now for the part that had nothing to do with it being a series book. Even though Tamarack County kept me engaged as a reader, there were times I felt like I was being told about the good the stuff after the fact instead of experiencing all of the action myself. I also think some things were supposed to shock me, but they either fell flat or I simply saw them coming. This isn't to say I didn't enjoy Tamarack County because I did. There is a quality to Krueger's writing that I really enjoy. I may even go back and start this series at the beginning. I have no doubt folks who have been reading the Cork O'Connor series will enjoy this installment; I just wish I had started out earlier in the series. Today's Top Ten Tuesday topic over at The Broke and the Bookish is Top Ten Things That Make Life as a Reader/Book Blogger Easier. These are ten things I use pretty much every day. What makes your reading life easier? Do you use anything regularly that I didn't mention today? This is the last week of summer (before school starts) for us. We managed to get all of our school shopping done over the weekend so this week is just about having lots of fun and meeting the new teachers. Last week I posted reviews for Hounded by Kevin Hearne and The Day I Swapped My Dad for Two Goldfish by Neil Gaiman. I finished reading The Troop by Nick Cutter and Tamarack County by William Kent Krueger. I started reading The Lies of Locke Lamora by Scott Lynch which I am loving. I'm trying to keep on schedule with Gollanzc's readalong so it will theoretically take me 4 weeks to read it if I can be disciplined enough to not jump ahead. I have a few things out from the library so I will probably try to squeeze those in this week, too. I hope summer has been excellent to you. I'm looking forward to this fall. We have a lot of changes happening in our family right now so these are exciting times. Let me know what you are reading this week or leave me a link! The Day I Swapped My Dad for Two Goldfish is a hilarious adventure and was the first book for younger readers from the acclaimed author and illustrator of the New York Times best-sellers The Wolves in the Walls and Coraline. Chosen as one of Newsweek magazine's Best Children's Books of the Year, The Day I Swapped My Dad for Two Goldfish is beloved by readers of all ages. This new edition features brand-new jacket art and an afterword by the author on the origins of this unique and wonderfully funny story. 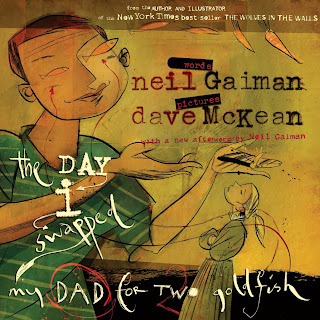 The Day I Swapped My Dad for Two Goldfish is Neil Gaiman's first children's book. The main character and his little sister are playing out in the yard when a friend arrives with a goldfish bowl. Inside the bowl are too very gold goldfish. "I'll swap you for them," says the MC. He names a list of things he can swap before he has a big idea to swap his dad. It's a great swap until his mom comes home. Whoops. The MC has to trade the goldfish back for his dad, but he finds out his dad has been traded again and again amongst the children. It's a cute story, but it's kind of strange. The dad just gets passed from kid to kid. On one hand, I see the correlation to dads who sit at home and read the paper without paying much attention to the family, but there was no real need to have the dad back other than to please the mom so she would feed them their dinner. I've never been of the mind set that children's books need to teach values, but a piece of that was missing here for me even though it was told through the perspective of a child. That being said, there was plenty to make me smile, especially the very end. I grew a little tired of all the items that were traded for their dad, but the ending was cute. This is a good book to keep an eye out for at the library.